We still have about a week left to the end of June, but this month has felt particularly long and eventful, thanks to the various developments that the local food and beverage scene has witnessed. Earlier this month, there was the shock announcement that both Joel Robuchon Restaurant and L’atelier de Joel Robuchon will be closing down. The former is Singapore’s only three-Michelin-starred restaurant, while the latter has two stars. Their last day of operations is 30 June. Another big name that has shuttered is omakase restaurant Hashida Sushi Singapore, with its chef-owner Kenjiro ‘Hatch’ Hashida deciding to take his business to San Francisco, and to focus on his existing restaurant in Japan. 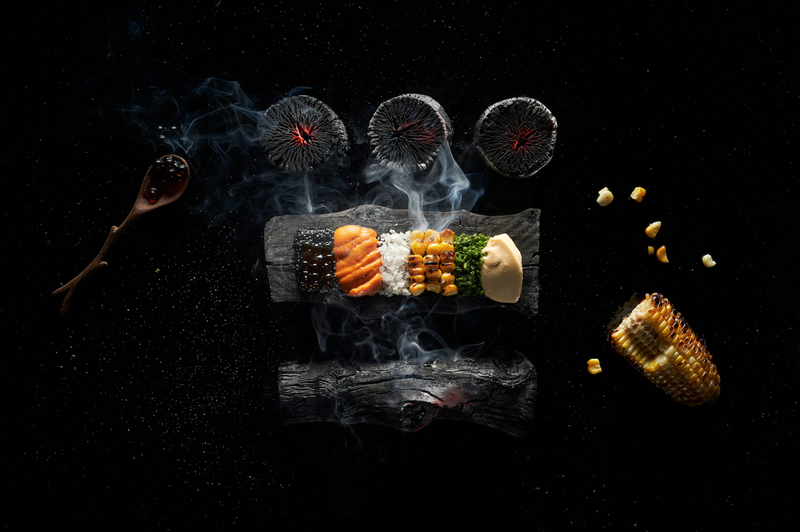 It isn’t all doom and gloom, though — a new Japanese restaurant, Sushi Ayumu, has moved into Hashida Sushi’s old premises at Mandarin Gallery, and we’re looking forward to checking it out. We’re also excited to see what chef Hatch will be doing in San Francisco. June has brought with it some good news, too. At least 13 new restaurants have sprouted up, while several existing eateries around town have introduced new dishes to their menus. Here are three of our favourites. The dish: Served in a shot glass as an appetiser, this tempting concoction comprises corn mousse mixed with bacon broth and bedecked with charred Japanese corn kernels. House-smoked sea salt, sturgeon caviar, and tongues of sweet, briny bafun uni are then layered on top, before being garnished with chives and shoyu pearls. Packed with umami and utterly addictive, this decadent dish will have you slurping up every bite. The place: With its dim lighting and curved wooden ceiling reminiscent of a bunker, Le Binchotan is a cosy nook along Gemmill Lane. 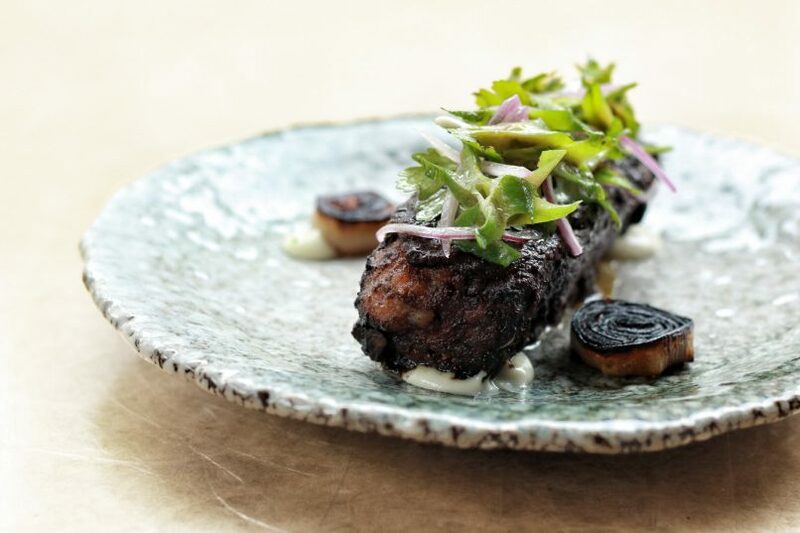 It merges French culinary influences with Japanese binchotan grilling techniques, and recently underwent a revamp that saw its chef Jeremmy Chiam stepping up as owner. It also refreshed its menu with new dishes such as littleneck clams in sake broth, and Edible Charcoal — where Angus short ribs are encased in popiah skin, rolled in powdered bamboo charcoal, and deep fried. 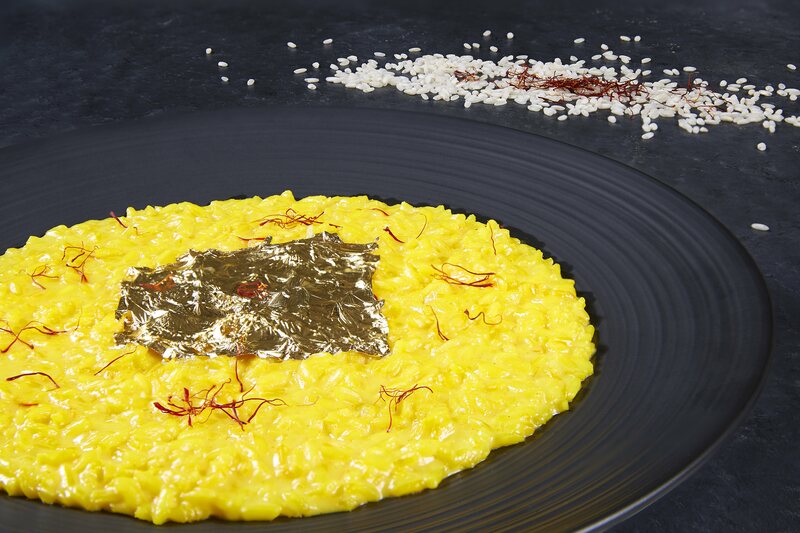 The dish: Made using Superfino Carnaroli Acquerello rice, this creamy, fluffy risotto is cooked in a delectable combination of sautéed butter, vegetable stock, white vinegar and bone marrow, and sprinkled with saffron strands and 24k gold leaf. Newly appointed head chef Emanuele Faggi created it as a tribute to the late chef Gualtiero Marchesi, whom he once interned for at L’Albereta Resort in Italy. The place: Situated on the 43rd floor of Ocean Financial Centre, Zafferano offers sweeping views of the CBD and Marina Bay waterfront. The Italian restaurant recently brought in head chef Faggi, who’s passionate about reducing food wastage by turning leftover ingredients like used coffee beans and tomato skins into powder for plating and flavouring. Under his leadership, Zafferano now offers an updated menu featuring dishes such as raw Hokkaido scallops with Avruga caviar and dried capers powder, and hand-rolled pasta with mussels and clams. The dish: This Peranakan-inspired dish is the dictionary definition of melt-in-your-mouth. Wagyu short ribs are braised in buah keluak sauce, infusing the tender meat with the flavourful hints of chocolate, smoke and mushroom that one gets with the dark fruit. Topped with crisp wingbeans, the delicious trifecta is one you’d have to fight to not share. The place: Ding Dong is an Amoy Street bulwark renowned for its eclectic, modern spin on Southeast Asian flavours. Its revamped menu features 18 new dishes, each created by new head chef Miller Mai. Having been trained at Luke’s Oyster Bar and Tippling Club, Mai finally gets free rein with his latest title, and the result is a storybook of rich, comforting dishes that cross influences from various Asian cultures.